Cecilia McIntyre age 13.Cecilia loves all things musical - especially playing violin and piano. 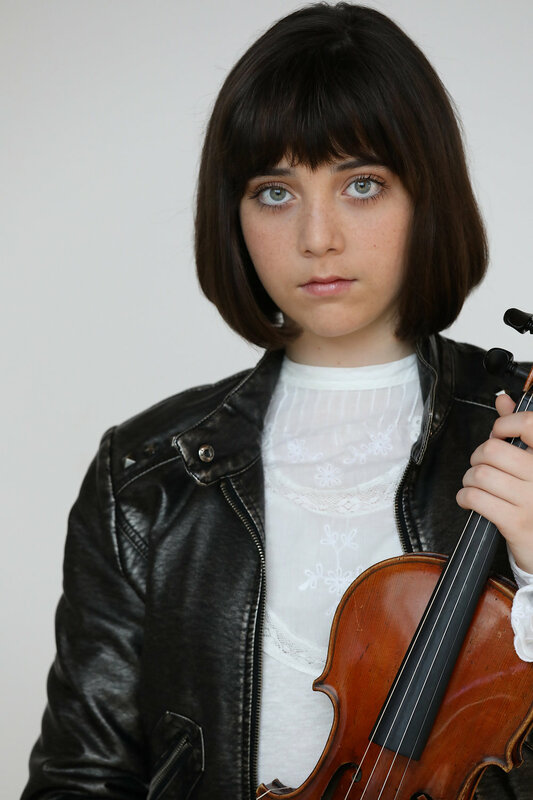 Cecilia began studying violin when she was 4 1/2, first with the Pasadena Step Program and currently at Pasadena Conservatory of Music where she also is part of the Chamber Music Program. She is a member of the Colburn String Orchestra. Cecilia enjoys playing all kinds of music from Mozart to Mendelssohn and now and again an Irish fiddle tune. Cecilia is thrilled to be participating in the Eastern Sierra Symphony in beautiful Mammoth Lakes.